Home / ANGEL EARRINGS / Mother of Pearl Angel Wing Necklace. Mother of Pearl Angel Wing Necklace. The pearly white Angel Wing Necklace, simple yet sophisticated, exudes a natural angelic grace. 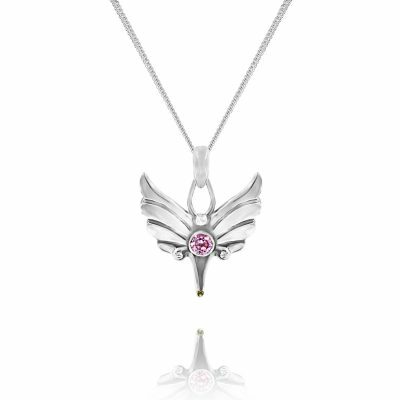 Wear your Angel Wing to rise to new heights in life and to remember you are linked to Divinity. A symbol of good luck and protection. 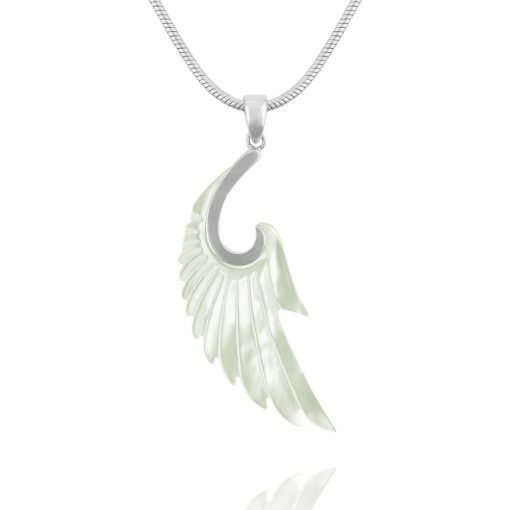 Mother of Pearl Angel Wing Necklace. 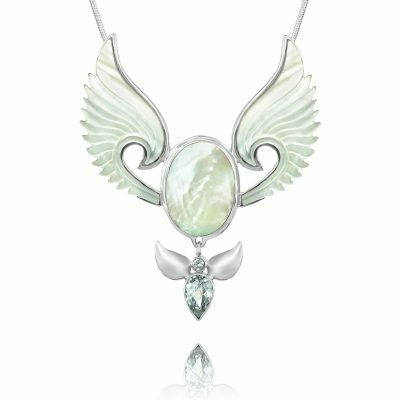 An Angel’s wing, delicately hand-carved from Mother of Pearl is held in an elegant silver trim. 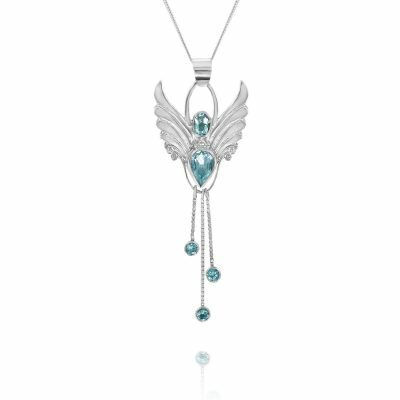 Simple yet sophisticated, this pendant exudes angelic grace. It’s one of our most popular designs to date and has consistently proved to be a delightfully well received gift. Mother of pearl is associated with innocence, beauty and love. It’s said that it heightens intuition, and psychic sensitivity. In my opinion it makes everything around it seem more beautiful, and that’s probably why it’s claimed to be able to transmute negative energy. I feel more beautiful when I wear it, it really works!! 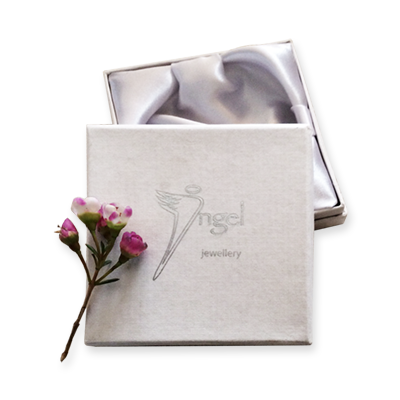 Angel Wing necklaces help us to feel safe and protected in the fold of an Angel’s Wing. They are associated with the spiritual, a higher evolution of the soul, higher realms of existence or ascension. 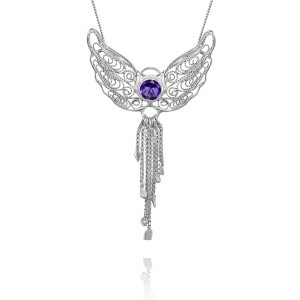 1 review for Mother of Pearl Angel Wing Necklace. WOW! I could not believe the quality of this product when I saw it. I gasped as I took it out of the box. It is 100 times better than the photo. We had no idea how big the necklace would be, so it was a risk buying it. I am totally blown away with the quality and craftsman ship of this absolutely stunning necklace. So far everytime I wear it, many people compliment it. 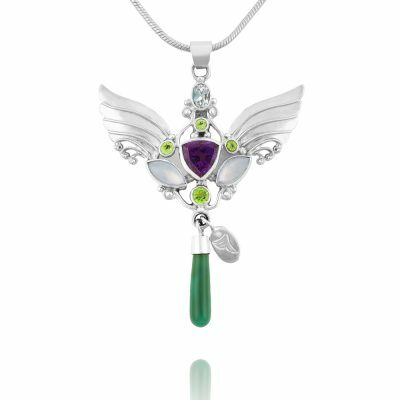 Peace Angel Necklace. For Personal & World Peace.